I have a dream in my pocket. I shove it back in. I completely forget about it. I sit on it and it pokes me. I carefully pull it out. I look at it and wonder. I shove it back in my pocket. I pull out my dream again. I put my dream into words. I share my dream with people. I realize that this is a big dream, but it’s my dream. 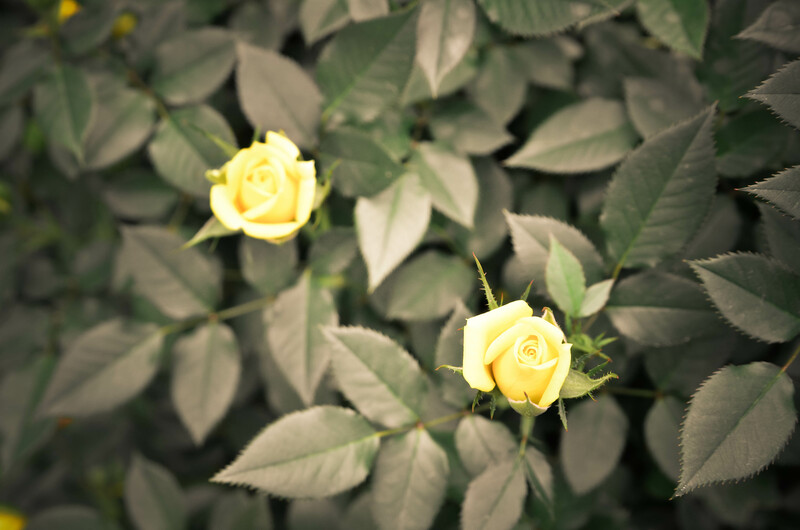 I will need time to nurture and grow my dream. No longer in my pocket, my dream is in front of me. What dreams do you have in your pocket? Then, they opened their writer’s notebooks and wrote, but unlike the other times, where I walk around and meet with students, I decided to write as well. 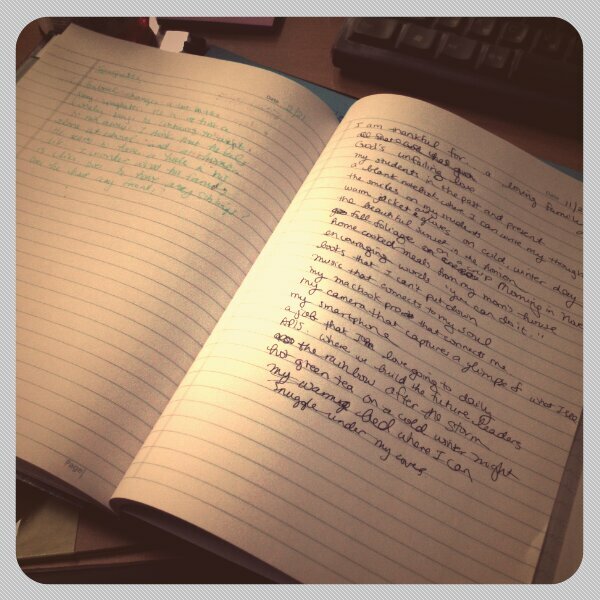 I opened up my writer’s notebook, which I admit was gathering some dust in my bookshelf, and got out my inky teacher pen and wrote. I crossed out some lines and struggled to come up with what I wanted to say exactly. However, I managed to put something together. A rough draft. A beginning to something. After about 15 minutes of writing, I walked around and encouraged students to expand and be more descriptive on what they wrote. I read aloud to them what I had so far and had a few other students share as well. Afterwards, one of my students came up and asked, “Is that your writer’s notebook? Can I see the cover? Oooh, lucky…” Unfortunately, I didn’t decorate the cover of that writer’s notebook, but my student still seemed to like it. 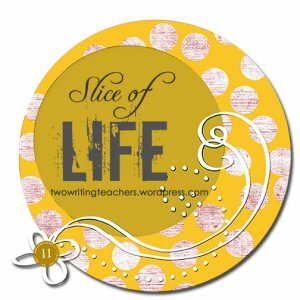 For more slice of life entries, go to Two Writing Teachers. 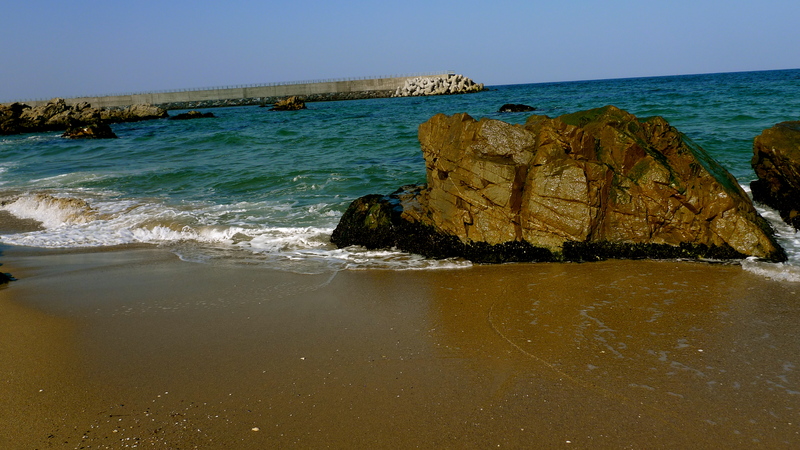 The ocean swaggers into the shore. She tiptoes on tiny feet and freshly built sand castles. She runs over shattered seashells and slimy seaweed. She sprints back home and doesn’t look back. 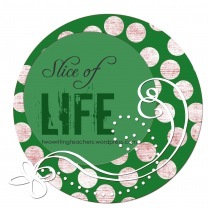 For more slices, go to two writing teachers! 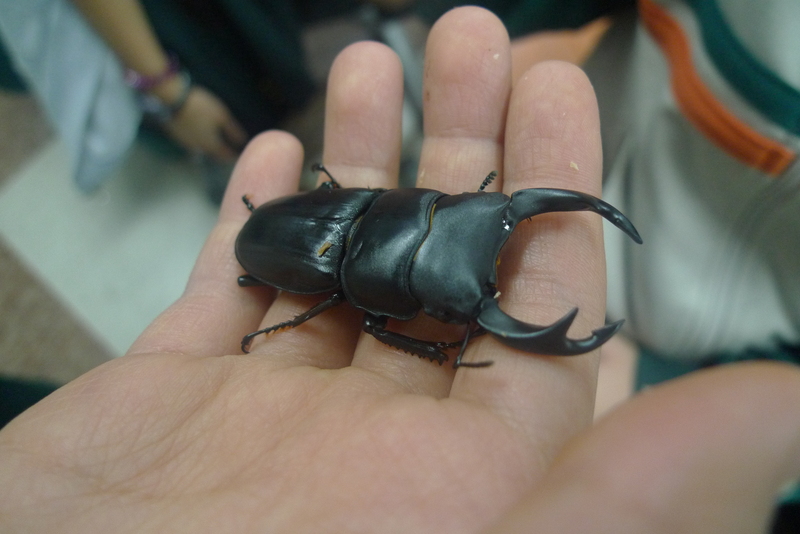 We had more guests in my class today. 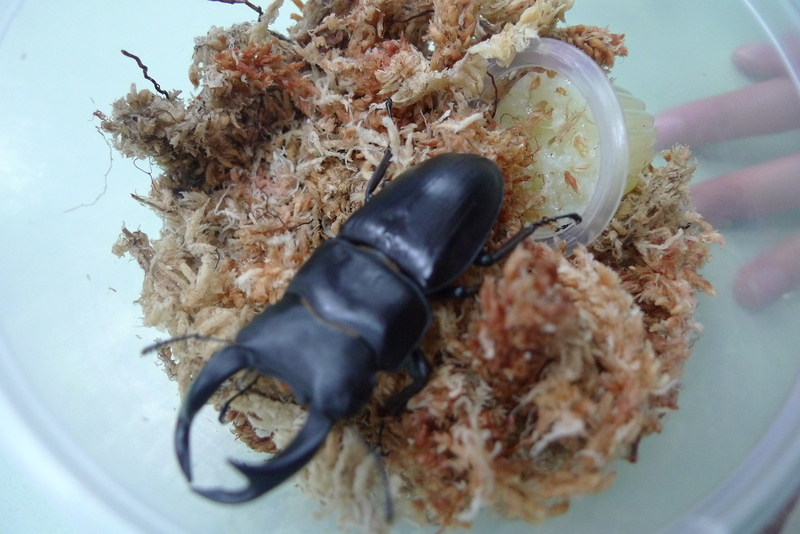 My other students brought in his stag beetles, and some caterpillars as well. I wrote a short poem about it for my slice today. We’ll be starting our poetry unit next week, so I thought I work on some writing my own poetry. Why do my students adore thee? Why do I dislike thee? They like to eat jellies! 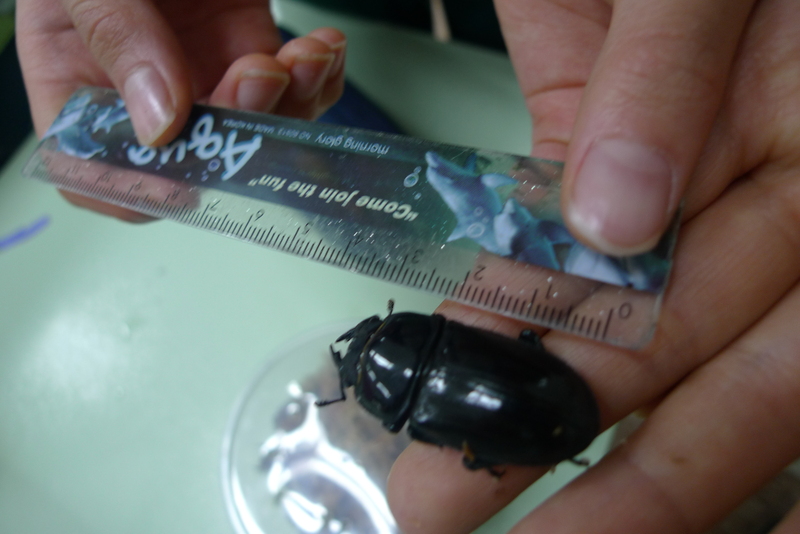 One of the students measuring it's size.